This is an updated version of my original post from the Cricut Craft Room Blog. There are two ways to type text using CCR. You can drag each letter from the keypad to the mat, or the better way is to use a Text Box. And that's what I'll be showing you today. We'll be creating a welded title and a matching welded shadow. I have opened CCR and created two mat layers. To do that click on the + button next to the Layer 1 tab. You'll now have two layers in your design. The active mat layer's tab will be highlighted in light grey. 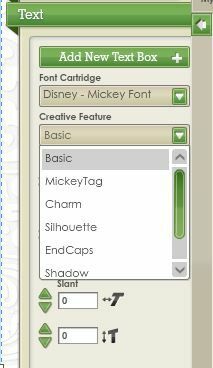 Double click on the Layer 1 tab to highlight the layer name. 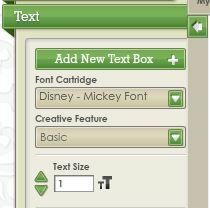 Delete the Layer 1 text and type in a new name. Press Enter. Click on the coloured circle next to the layer name. 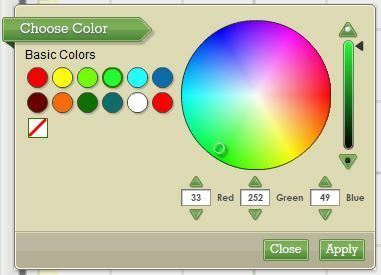 Select a new colour from the palette then press the Apply button. Click on the first layer to make that mat active. A text box will appear on your mat. Click on the tab for your second layer to make that layer active. Click in the Text Field box and type your word again. As you're on the Shadow layer it should show up in a different colour. Click the Done button. 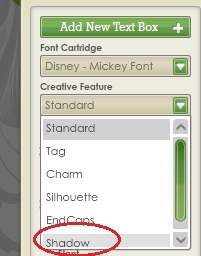 You'll notice that the shadow text will appear on top of the first layer's text. Click on the grey area of the tab for the second layer and drag it to the left. As you're dragging the tab you will see these icons. 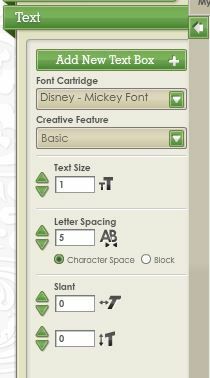 Once the Layer 2 tab is over the layer 1 tab release the mouse. The shadow layer will now appear under the top layer. In this case the difference isn't huge, but with some fonts it's quite noticeable. You'll see how the shadow of the I, N and the G don't match up well and need to drop down slightly. Highlight the shadow again then click the Ungroup button on the Toolbar. When you get to the I, N and the G you may find that you need to drop them down slightly to get the to align correctly. Drag a selection box around the shadow layer so all the letters are selected. It's not necessary to use preview colours. I think it just makes it easier to see your outlines. It's also not necessary to use two layers (mats). You can leave the preview colours off and create both your layers on one mat.